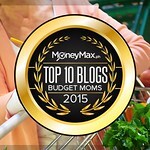 As a stay-at-home mom of three, with a toddler being the youngest and super handful, I have limited time for myself. Although I am aware how important self-care is, for now at this phase in my life, this season, finding time to get fit is challenging. 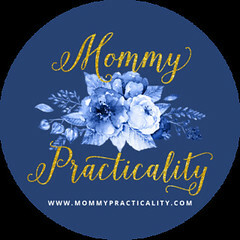 But I already asked my husband to give Saturday to me as my "Mommy Day-Off" or a me-time day. 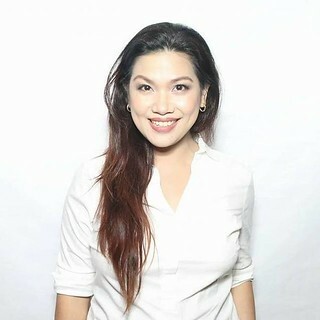 Bahala na ako what to do on that day, go to the salon, run errands, go to spa, or go to the mall. But I realize, why not spare at least an hour to dedicate it to fitness as part of my self-care. Happy to start my fitness journey again with Anytime Fitness! I've been like a yoyo when fitness is concerned. But as I age, I come to realize how important it is to be consistent so that I would reach one of my life goals which is to stay strong and healthy long enough to see my grandchildren. At home I may do this by eating right, but I still need to exercise. 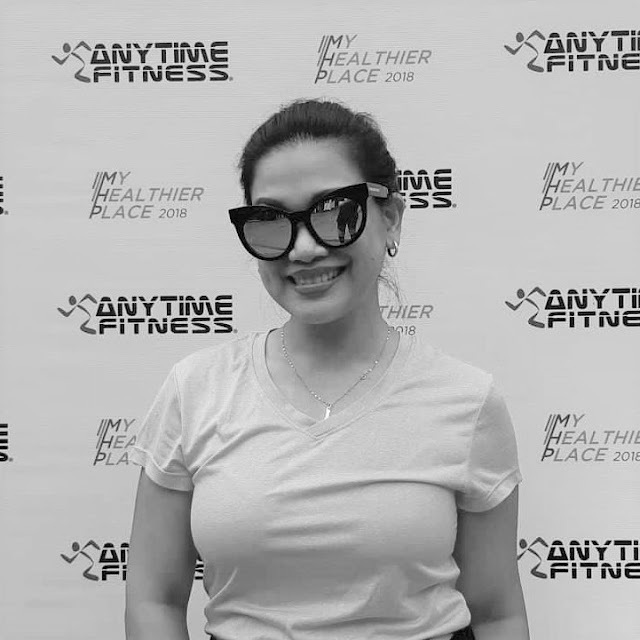 Gladly, I attended Anytime Fitness' My Healthier Place event at BGC one weekend (sakto sa day-off ko!) where I learned about importance of movements (through Zumba, Yoga, and Belly Dancing) and eating healthy. I tried a bit of belly dancing and hats off to the Titas of Manila who participated, I wasn't able to keep up with them. Fitness Goal: To wear something like this! :) Belly Dancing FTW! The experience inspired me to jot in my calendar fitness schedule and take exercising or moving seriously (again!) and hopefully make it part of my lifestyle. It's not because it's trendy, but I really do want to be fit and strong for my husband and kids. After all, how will I be able to take care of them if I am weak and sickly. 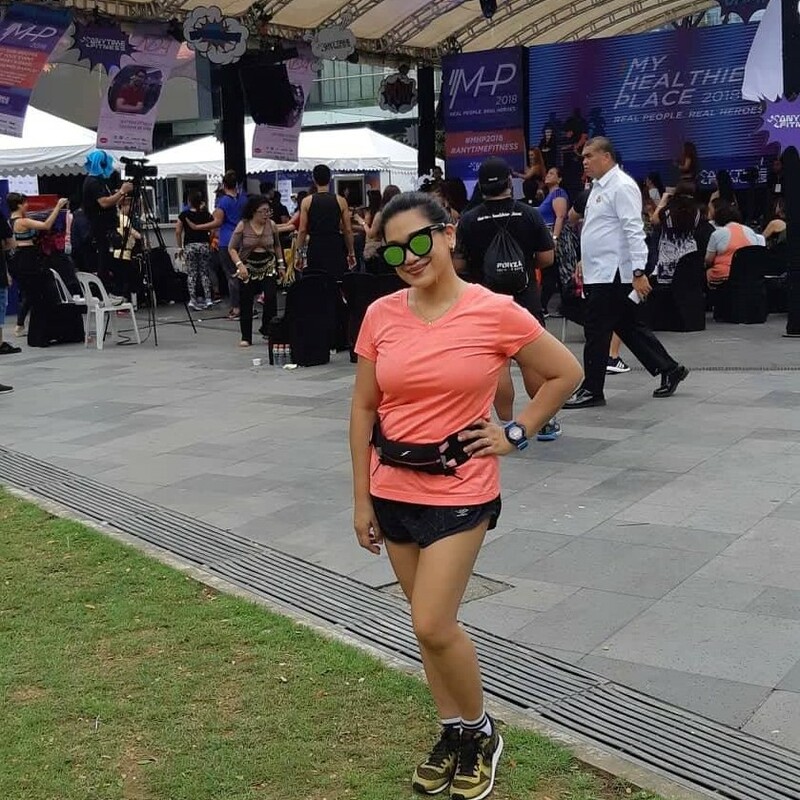 The event featured free fitness classes (which are available in their branches nationwide) to really rally for Health and Fitness, anytime, anywhere. 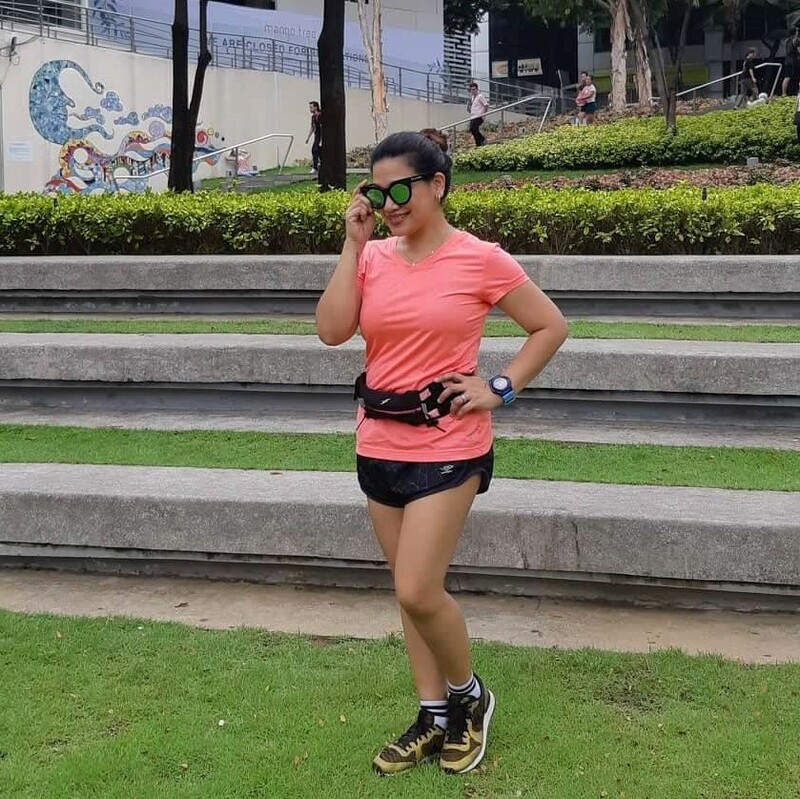 That fitness shouldn't be just confined to their branches but could be accesses even outside, such as what took place in Bonifacio High Street Ampitheater, BGC. Whether we walk going to the office, do errands, do chores at home (which I have been doing for months), complete a home workout (yoga, zumba or HIIT), we DO MOVE and when we move we lose some calories. But wouldn't it be better if we follow a routine or a program that ensures you calculated calories burned and just to be habit-forming so that we will reach all our fitness goals right? The real gym-goers and fitness enthusiasts say we are accountable to our body's fitness anytime and anywhere. So why not join Anytime Fitness as they explore and celebrate different healthier places both in or outside the gym? Anytime Fitness, taking fitness outside the gym! Their Anytime Fitness “My Healthier Place” campaign culminated last August 25 with the crowning of their various contest winners, hosting of free fitness classes (which I availed), games and activities, healthy cooking demo, and many more! 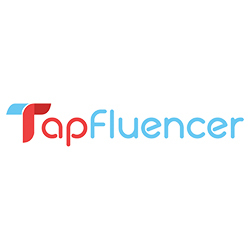 They also awarded their winner of “The Search for the Next Digital Ambassador​,” which has been running since July 30. Finally, there is also the much-awaited tournament: The Battle of the Purple Warriors​, where five qualifying teams made up of Anytime Fitness’ best and most loyal members and coaches will battle it out in an exciting series of obstacles. Thank you Anytime Fitness for making me part of your "My Healthier Place" culminating event. It really inspired me to just (re)START my health and fitness journey and reach my Mommy-To-Lola Fitness Goals! I will definitely visit one of your Manila branches soon! For more information about Anytime Fitness, follow them on Facebook and Instagram. With over 70 operational branches just within the Philippines—Anytime Fitness has enjoyed extraordinary growth since it was first founded in 2002, alongside its dedication to its members’ fitness both in and out of the trademark purple gym. bring the healthy lifestyle even closer to everyday life—because even if Anytime Fitness has their gyms available 24/7, the average gym-goer only spends about 30 minutes to an hour inside. In fact, 30 minutes of exercise is all that’s necessary to maintain the regular adult’s health. But in bringing exercise and fun exercise trends closer to the everyday Filipino, Anytime Fitness allows both the gym buffs and the average human to spend more time thinking about taking care of their health.